The Rebel Sweetheart. 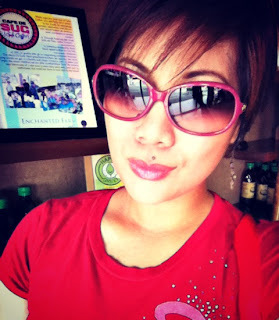 : Something Special for Mom | Win a pair of Firmoo Sunglasses + e-vouchers! Something Special for Mom | Win a pair of Firmoo Sunglasses + e-vouchers! The month of May is a special time to celebrate Mothers. Whether you are a mom yourself or you're doing something special for your own mom, the Something Special for Mom Giveaway Event is for YOU! A great group of bloggers have come together to show you special items you might like to receive or give as gifts this month. You'll be able to enter to win these great products from May 10th-26th thanks to the Blogging Mamas Network! Be sure to hop around to all of the participating bloggers, in the linky below this giveaway, as they have some great prizes to share with you! Make sure you also enter the Grand Prize - a $250 Gift Card to Mía Mariú! One lucky Mama is going to look so pretty with all that eco-friendly makeup! For my giveaway, I am so happy to be working once again with Firmoo - the global online optical store. Firmoo is the world's Most Popular Online Eyeglasses Store - as evidenced by their 580K+ fans on Facebook. Firmoo's mission is to offer varieties of unbelievable cheap yet fashionable prescription & Plano eyewear to the consuming public. Their collection of eyewear comes directly from an affiliate factory, hence, prices are 85%~90% lower than those being sold at traditional brick-and-mortar stores. Purchasing eyeglasses from Firmoo is very convenient too, since you can do the shopping right in the comfort of your own home (or office, even). And they ship to over 40 countries worldwide! Remember this pair of sunglasses that I got from them last year? You too could be sporting one of these babies by simply joining my giveaway! Seven prizes at stake for seven lucky winners*! Grand Prize: One pair of sunglasses, to be shipped to the winner free of charge. Consolation Prizes: 6 Firmoo e-vouchers worth $20 each. Enter my giveaway via the Rafflecopter below. This event will run from May 10th to May 26th, and is open worldwide. According to Jenny, So Easy Being Green, the Blogging Mamas Network, and the Something Special for Mom participating bloggers are not responsible for sponsors who do not fulfill prize obligations. They really have stylish designs for firmoo. Good luck to those joining. I like the #OTO3502 in Brown. I like #LYST6137 in black and read. I LOVE the #OTO3536 pair in Ivory! #BLMKG717 sunglasses in gunmetal color - yeah! thank you :) email sent!